Chickpeas are a pantry staple for me. I always have 2 varieties of dried chickpeas on hand. 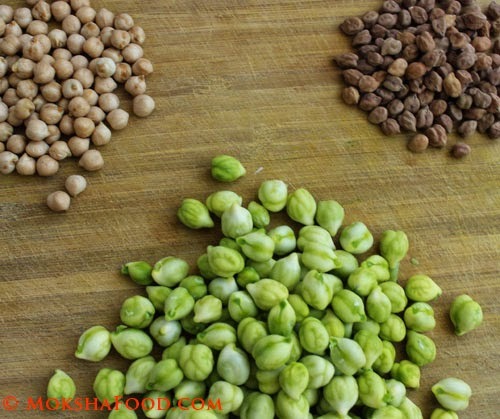 One is the light brown chickpeas and other is a smaller dark brown variety called kala chana. But both of them require planning as they need to be soaked overnight before cooking. Each variety has a distinct flavor and is loved at my home. It's my go to protein on vegetarian days. 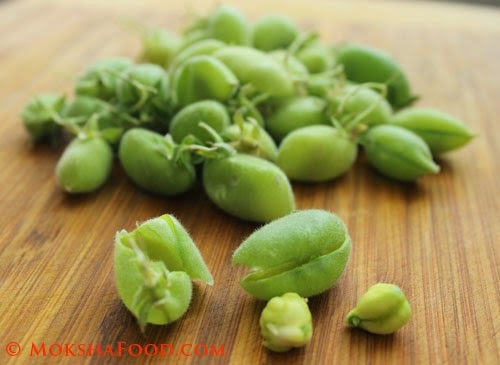 I recently discovered fresh green chickpeas. They are sold in Indian grocery stores while still intact within their pods. 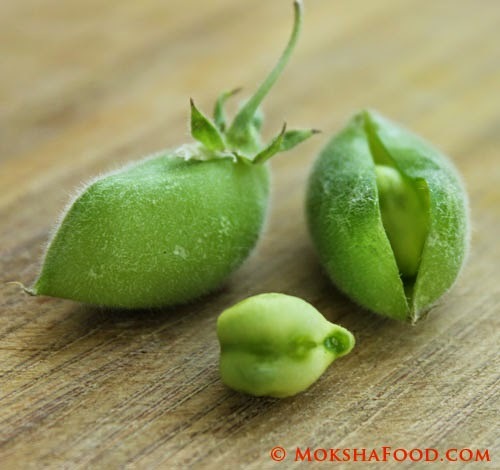 This landed up being a fun activity for us as my daughter and I took turns popping up the pod to release the chickpeas. They also cook much faster than the usual dried and soaked brown chickpeas. In taste and texture they are a lot similar to fresh peas. I made them into a quick stir fry with potatoes. Add the chopped onions and sauté till soft and pink. Stir in the tomatoes and potatoes. Season with salt, turmeric pdr and chili pdr. Add the water and close the pot with a lid. Keep stirring intermittently and check if the potatoes are half cooked. Now add in the fresh chickpeas and continue cooking till all the vegetables are done and the water dries up. Add sugar , kasuri methi and garam masala. Taste to balance the flavors. 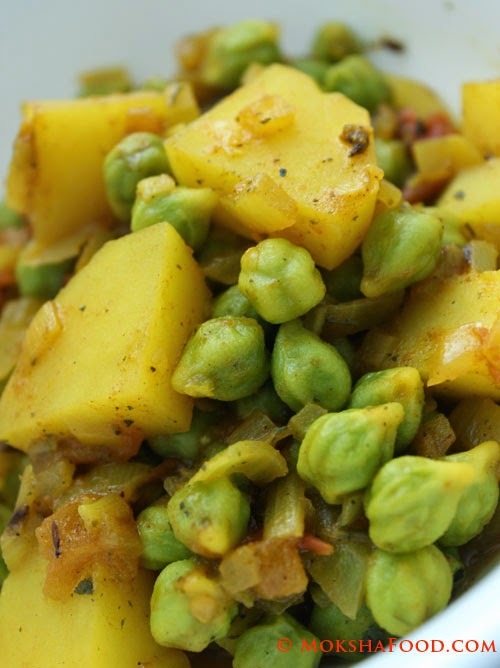 Serve hot with rotis or as a side with rice and dal.